Bobby Bowden was a college football coach who was head coach of the Florida State University football team from 1976 to 2009. Bowden also served as head coach for South Georgia State College from 1956 to 1958 as well as West Virginia from 1970 to 1975. Bowden lead the Florida State Seminoles to 2 National Championships for 1993 and 1999, 12 ACC Championships for 1992 to 2000 and for 2002, 2003 and 2005, plus 2 ACC Atlantic Division Championships in 2005 and 2008. In 2009, the NCAA questioned Bowden about ineligible players for the 2006 and 2007 seasons and it was determined he had to that vacate 12 wins from his career. Bowden was inducted into the College Football Hall of Fame in 2006. 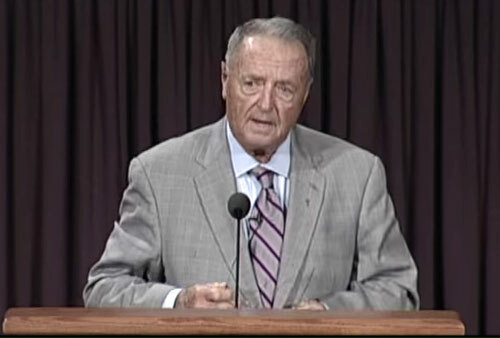 Bobby Bowden is a devout Christian and on most Sunday mornings will find him speaking at a church somewhere in the south.